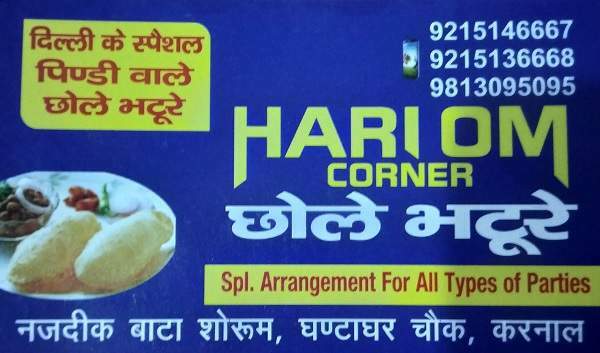 Hari Om Chhole Bhature Corner is one of the best Indian Fast Food corner and restaurant having specialization in Chhote Bhature (Famous Indian Snacks) and Chur-chur Naan (North Indian Snacks). This restaurant is the only specialist in Karnal city which provides hygienic and tasty "Delhi ke special Pindi wale Chole-Bhature". People like the taste and quality of "Churchur Naan" and Chhole Bhature made in Hari Om Corner Restaurant Karnal. 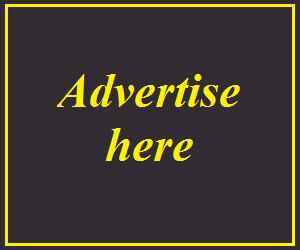 The main reason behind such a huge sale of these snacks here is the recipe, quality, taste and experience of the cooks who prepare the tasty north Indian snacks for people. That is why most of the people who visit Karnal must eat Chhole Bhature and Naan of Hari Om Corner and thus making this restaurant more popular in other adjacent cities also. Tasty chole bhature,amazing sweet lassie,reasonably priced.very good sitting arrangement. Good location. Over all every thing is perfect.